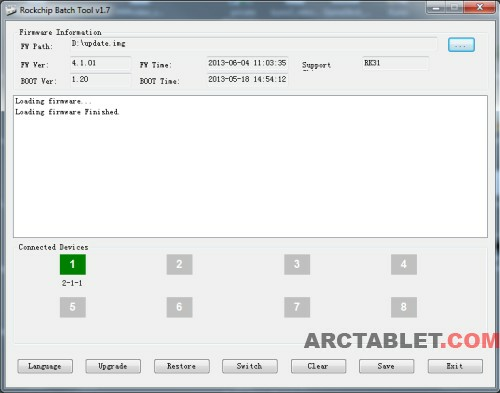 Please refer to our Rockchip Batch tool guide for details on how to use the program. Next articleDeal alert: AMAZON UK cuts ARCHOS 80 G9 price by half! Hi. My tablet isn’t recognized in the Rockchip Batch Tool, so I can’t upgrade the new firmware. I tried everything possible. I need to flash my Cube U39GT since resetting the device to factory default, which reverted it back into Chinese language. The Rockchip Batch Tool ‘guide’ link above takes me to the old article guiding through the process of flashing devices prior to the Cube U39GT, and I cannot find a guide to flash the Cube U39GT on the web. Will the Rockchip Batch Tool v1.7 work without inserting a paperclip into the Cube U39GT? The Cube U39GT has 2 reset-sized holes, and I don’t know which hole to stick the paperclip in… Do I have to prod the hole between the volume button and the mini-USB socket- or do I have to prod the hole in between the mini-HDMI and DC socket? Do I have to press any buttons while prodding ??? 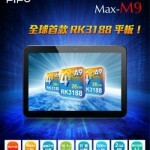 Im having chinese made Tablet ” Anderon” specifications of Rockchip-3066(Dual core 1.6GHZ,Cortex A9),Mali-400 MP GPU,support openGL,ES 1.1/2.0 and openVG 1.1,LCD-9.7″ ,RAM 1GB DDR3,16GB NanFlash,OS-Android 4.1.1,from the problem started in pattern lock ,no body will solve,one of the Service person flash the system,now its not ON ,when switch on the power button, he told the systme Restore file is not matched,if we found the correct system driver file only Activated the System Again,so Sir pl help me to Solve this issue ,pl provide the correct system Driver file to my mail kanchana4x@gmail.com,i willbe very thankful to u ! 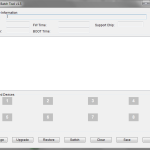 Most of the websites for flashing RK3188 talk about v1.6 of the batch tool…. does it matter if I use the newer 1.7 version? Hi, I assume that as you are getting a php file when you download this update, that you are downloading direct to your tablet, you need to download it to a windows computer and flash your tablet from that. Worked perfectly with my Archos 97 Carbon RK29 tonight after I thought I’d bricked it. 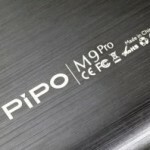 Is it ok for the another rk tablets ?